Why do we call it a Calvin Bugger? I will get to the name a bit later, but for now let me explain the components of the fly. The tail of the fly is quite a bit longer than the standard Woolly Bugger, and just this aspect has led to many more fish being landed or hooked (In our opinion anyway). The body is a combination of cactus chenille, hackle, copper wire and flash. 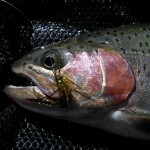 It is just as buggy as a Woolly Bugger, but has a lot of weight to it and has the attractor qualities of a Fritz. This pattern sinks fast, and a lot of the time you get a take on the drop. 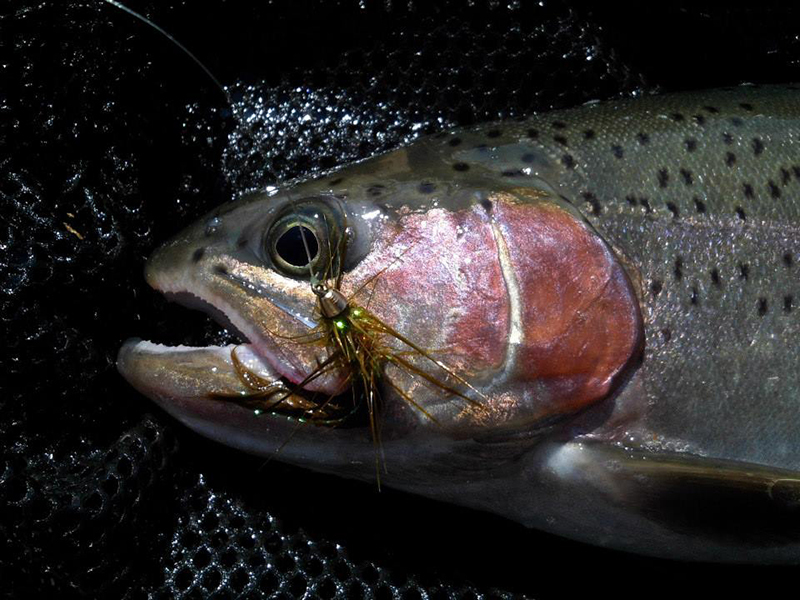 The Trout love this fly and will often hit it 5 or 6 times during a retrieve – the one fallback of this fly is that quite a few fish are missed due to the length of the tail, but we have experimented with this fly a lot and the tail is one of the keys to success. That is a good question, I certainly do not know who Calvin is, but I can tell you why we named the fly the Calvin Bugger. Gavin and I were fishing a Rock and Surf competition in 2013 and a fellow angler kept calling Gavin, Calvin. After numerous attempts to correct the name calling (It never seemed to work), Gavin eventually just left it and accepted the fact that this would be a nickname of sorts. 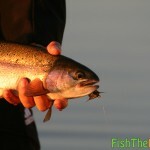 The angler eventually got Gavin’s name right, and it became a bit of a joke after that. How was the fly “invented“? 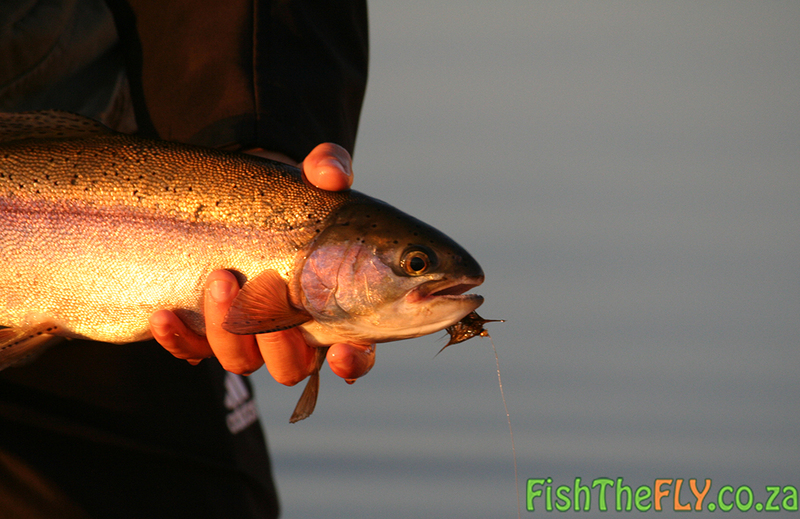 On a Summer trip to Millstream (What an amazing place) in the Trout Triangle, close to Dullstroom, in South Africa, we were struggling to catch the quantities of Rainbow Trout we normally do. We were catching fish, but working extra hard for them. 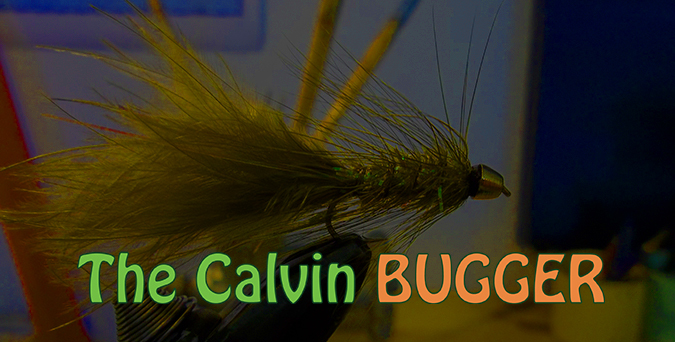 Gavin Erwin then decided to play around with the fly we know now as the Calvin Bugger, and well let’s use that cliche, the rest is history! Well, not quite. What about the name of the fly? After Gavin and I debated on what this wet fly actually was, it didn’t take very long, we came to a conclusion that it would be easier to just rename the fly. Since Gavin tied it, I suggested the Gavin Bugger or Erwin Bugger. It didn’t quite sound right, and then Gavin said jokingly, “We should call it the Calvin Bugger” – in reference to the earlier story. We both laughed took a sip of our beers, and yes we actually agreed to the name, and now we can really use that historical cliche, the rest is history!